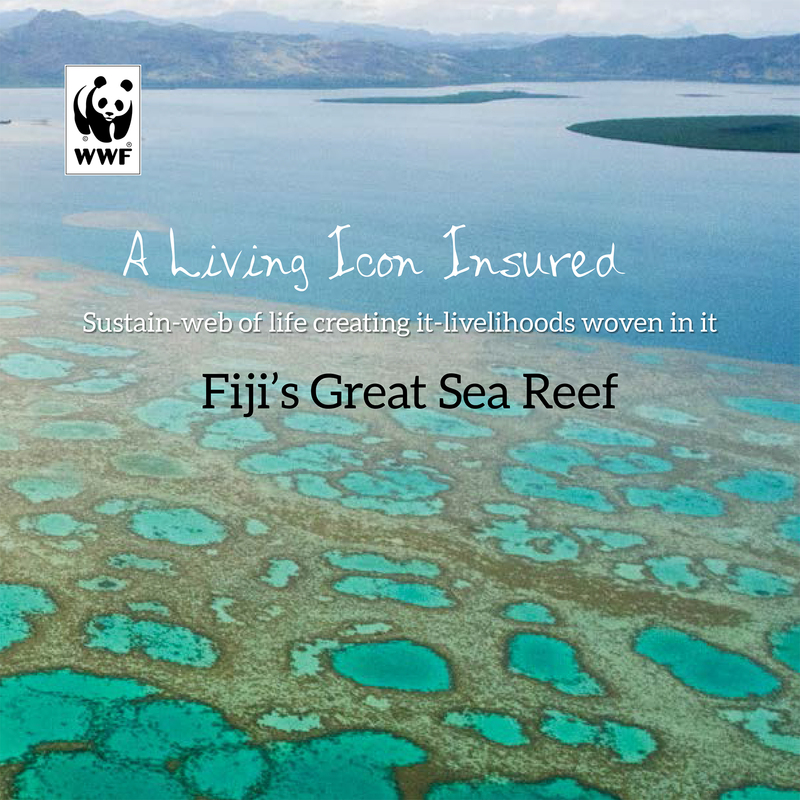 A Living Icon Insured: Fiji's Great Sea Reef, showcases breathtaking images, from renowned photographers Stella and Jurgen Freund, of the people of the reef, their blog pieces and highlights from their photographic expedition along this majestic reef system. It serves as an educational and awareness raising series on the importance of the Great Sea Reef. 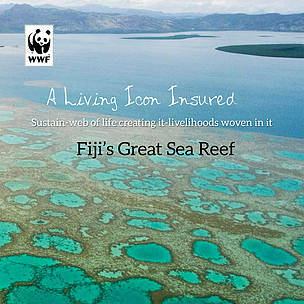 With WWF-Pacific adding its voice to the advocacy for long-term sustainability and protection of Fiji’s iconic living wonders, its biological and ecological living treasures, this book reminds us that the fight for the health and integrity of the GSR as a living icon and we the people of the reef with it, is too big to fail.